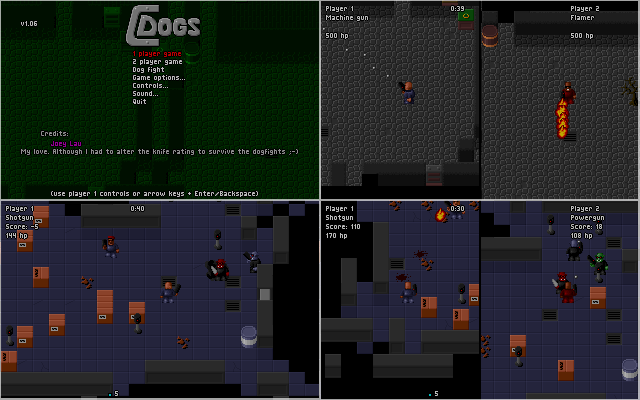 C-Dogs SDL is a port of the old DOS arcade game C-Dogs to modern operating systems utilising the SDL Media Libraries. 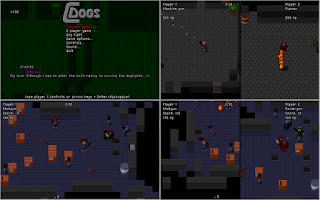 C-Dogs is an arcade shoot-em-up which lets players work alone and cooperatively during missions, and against each other in the "dogfight" death-match mode. The DOS version of C-Dogs came with several built in campaigns and dogfight maps, and C-Dogs SDL does too. The author of the DOS version of C-Dogs was Ronny Wester.